Bethany is a Solicitor within our Wills, Estates & Powers of Attorney Team and is able to assist in a full range of matters. Bethany graduated with a degree in English and Comparative Literature with Spanish and a Masters in International Relations before completing the Graduate Diploma in Law at the University of East Anglia. Following this, Bethany spent a period of two years at another local law firm as a Paralegal before joining Leathes Prior as a Trainee Solicitor in September 2015. During this time, Bethany simultaneously completed the Legal Practice Course at BPP in Cambridge, attaining a distinction. She qualified as a Solicitor at Leathes Prior in September 2017. 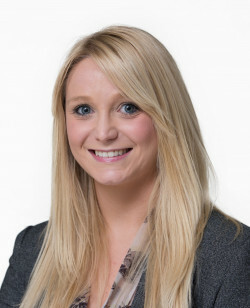 Bethany’s training at Leathes Prior involved acting for clients in both contentious and non-contentious matters, having spent time with our Employment and Residential Conveyancing Team, before joining the Wills, Estates & Powers of Attorney Team. Bethany assists the team in the administration of Estates, Deputyship and Court of Protection applications, Lasting Powers of Attorney and Wills. Outside of work, Bethany takes a keen interest in a number of sports including tennis and badminton. Bethany also enjoys travelling, reading and spending time with family and friends. Not a major transaction but it needed resolving at short notice, Bethany stepped in to do so most efficiently and, by ensuring that the other party paid your fees, at no cost to me or the Estate.